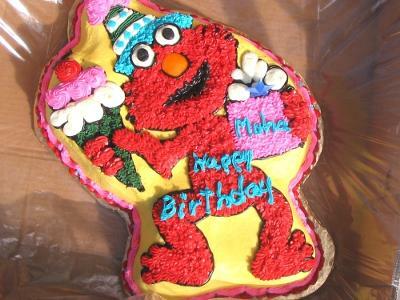 Look at this fabulous Elmo cake that is sure to light up your little one's face. 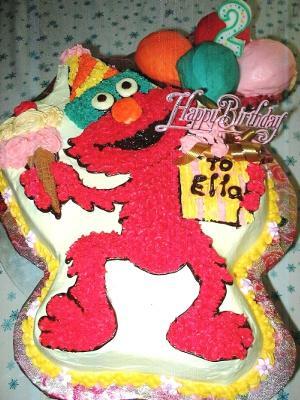 At two feet tall, this cake looks like a real Elmo! 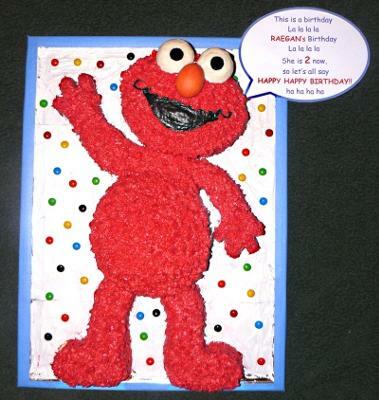 Perfect for that Elmo themed birthday party. 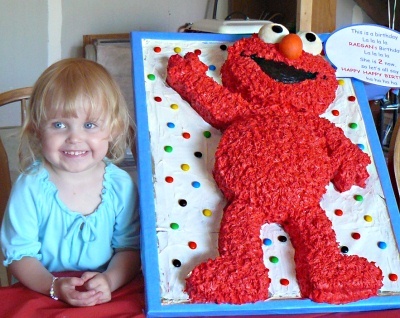 Thank you Kim for allowing us to use pictures of this fabulous cake...look at the adorable smile on the birthday girl!! 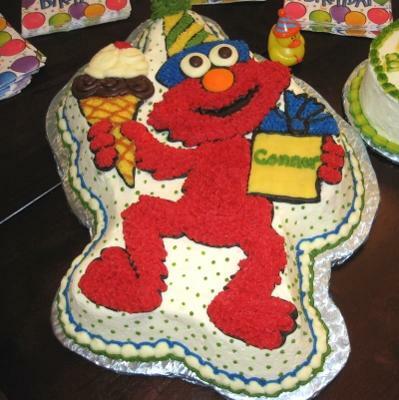 These three variations of are made from an Elmo Cake Pan made by Wilton. Wilton has a great selection of cake pans for characters but they do change them frequently. You can find some discontinued pans on eBay if you are looking for a particular one. We give special thanks to ElCad for allowing us the use of these pictures for our site!